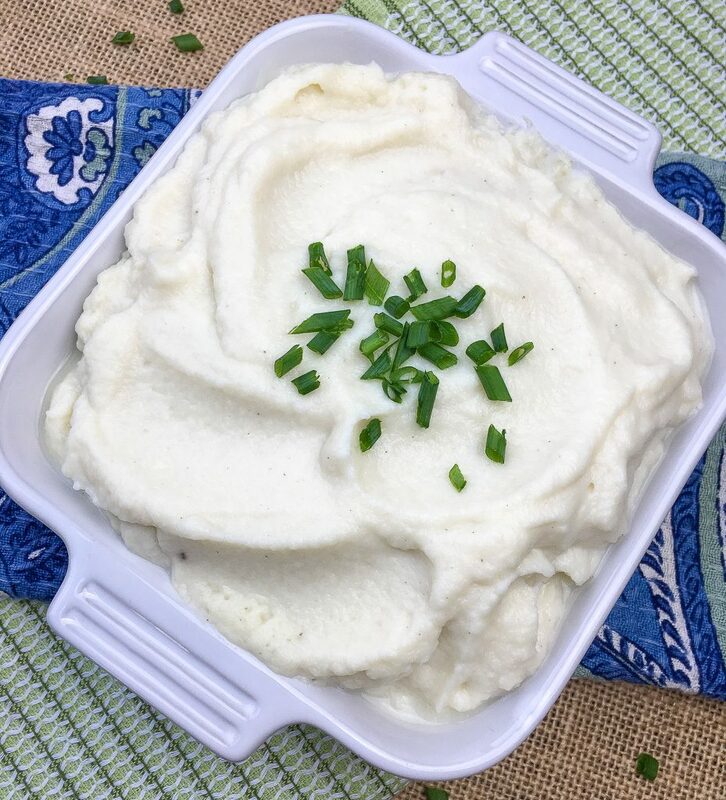 This delicious cauliflower Keto Garlic and Cauliflower Mash side dish idea, pairs well with a wide range of beef, pork, chicken, lamb and fish main course dishes. 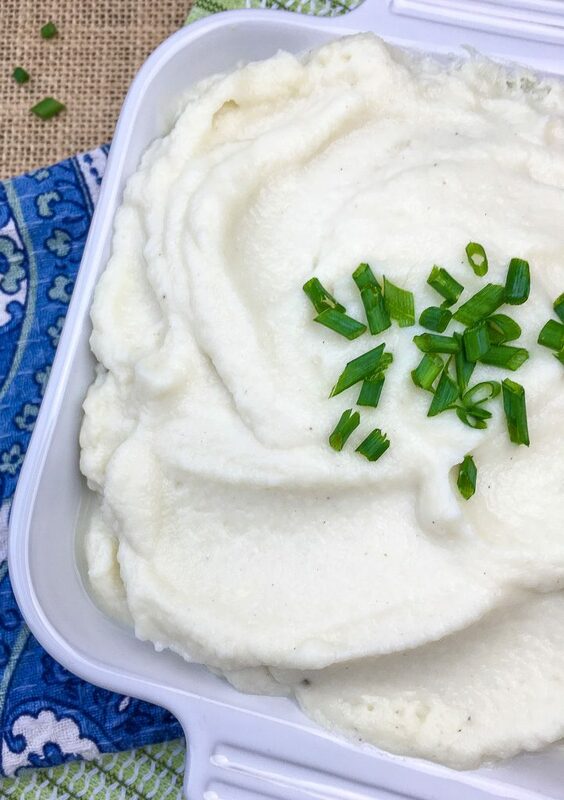 Plus, it comes together in under 30 minutes, so it is perfect for those busy weeknights when you want to get a healthy dinner on the table without too much fuss. 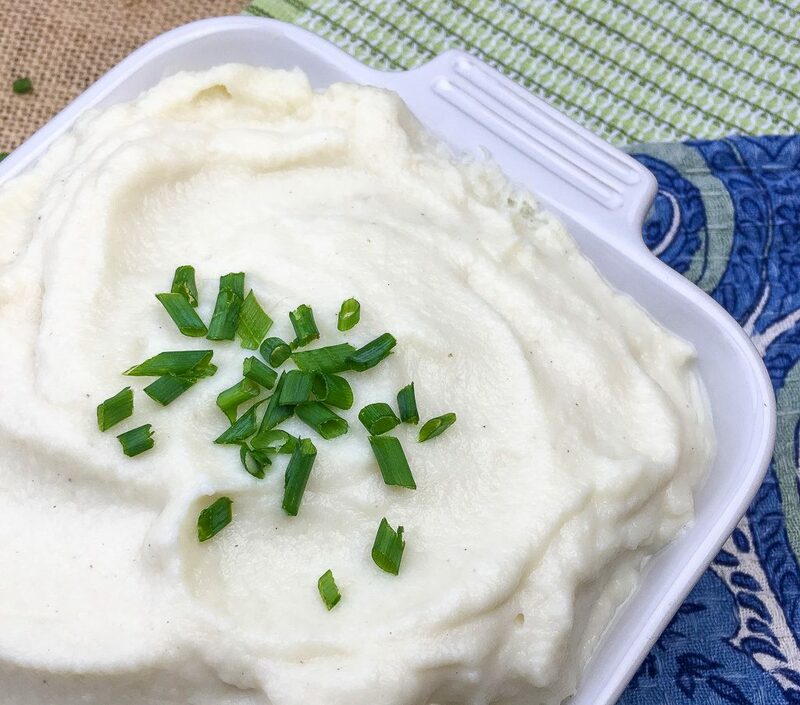 Transfer the cauliflower and garlic to a food processor or blender and add the olive oil, butter, garlic powder, and onion powder. Season with salt and black pepper, to taste, and process until smooth and creamy. Taste and adjust the seasonings, as desired. Note if you don’t have a processor you can mash these with an ordinary potato masher.